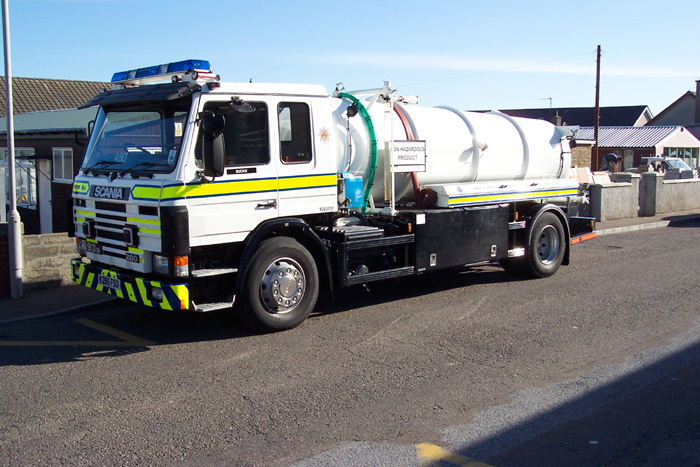 480 K286 FSO is a Scania 280bhp Water Carrier based at Buckie Station 48 in Grampian. This appliance was formerly a Turntable Ladder based in Aberdeen City but was converted to take the 7500 litre water tank. Added by Jan Skalicky on 15 November 2007.